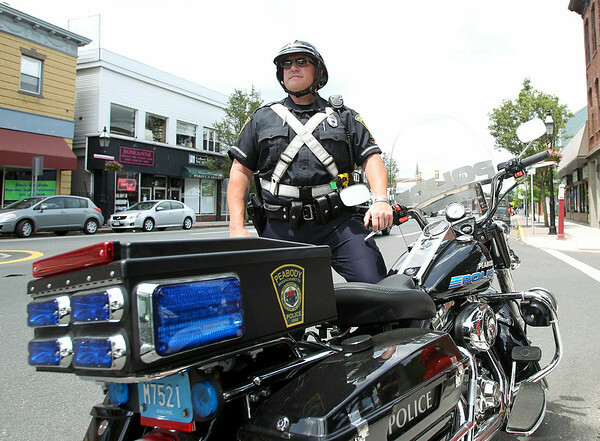 Peabody Police Officer Richard Heath has been assigned to the new downtown patrol position. DAVID LE/Staff photo. 6/19/14.